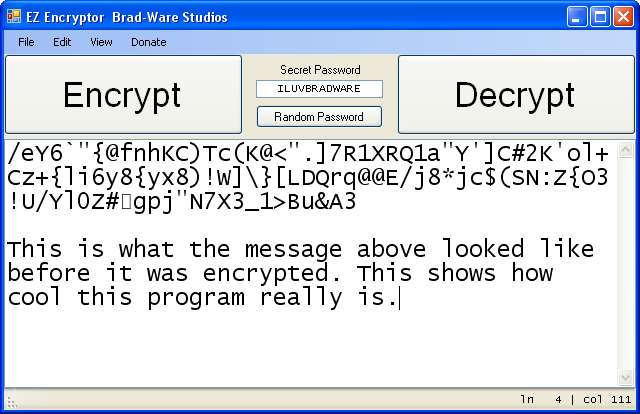 Encrypts text and files using a secret password. If Encrypting text, encryption will be limited to visible characters in that it the program is not using the full range of 0-255 as instead a range of english characters are used. File encrption uses full bit range. This is not for encrypting important information. Decryption is actually encrypting backwards, so if you want, you can first decrypt to jumble the message and then encrypt to unjumble the message.